The Morrison Group is a privately held branding and distribution company. Our focus is the convenience store industry where we’ve operated for over 25 years. Founded in 1991, we have since grown to include an in-house creative department, print shop, signage manufacturing, and distribution center. We work with coffee roasters, wholesalers, national petroleum brands, distributors, and independent proprietors. All under one roof as The Morrison Group, our capabilities include a wide range of products and services, completely unique and unparalleled in the convenience store industry. A number of branded product solutions for 76, BP, Cenex, Chevron, CITGO, Conoco, Phillips 66, Shell, Tesoro, and Valero branded marketers. 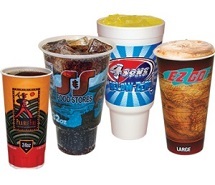 Stock cups and items that can revitalize your beverage programs. 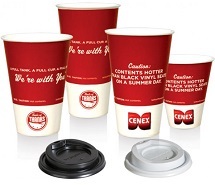 Custom cups and solutions for your stores. First-class trade dress programs customized to your store’s footprint. 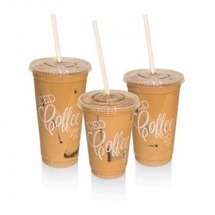 The Morrison Group is now offering cups and lids specifically for iced coffee. 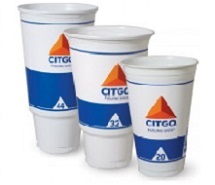 The clear plastic cups add a valuable presentation element to convenience stores’ iced coffee drinks. 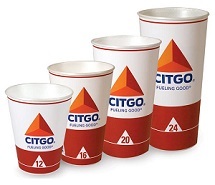 The cups are designed with graphics that stand out against dark or creamy iced coffee and complement any foodservice offering. 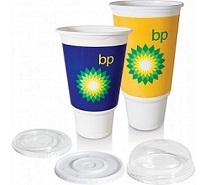 There’s no need to look for the right lids because the cups come co-packed with clear flat plastic lids. Knowing that it will take longer to run through the traditional 1,000 pack of cups on just iced coffees, each case has quantities of 300-400 depending on the sizes (16-, 20-, and 24-ounces available).